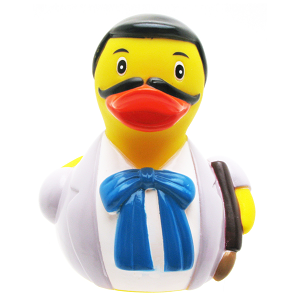 Our Charles Rennie Mackintosh Duck is the perfect souvenir. 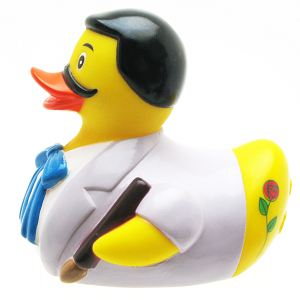 Highly collectable, our Mackintosh Duck is complete with moustache, cravate and Mackintosh Rose feature. Mackintosh is made from phthalate-free plastic and painted with non-toxic paint. We recommend the tag around the neck is removed before giving to a child. Every duck is hand painted and is suitable for use in the bath.